The finale of week two matchups will include a doubleheader of the Rose City vs the Windy City. 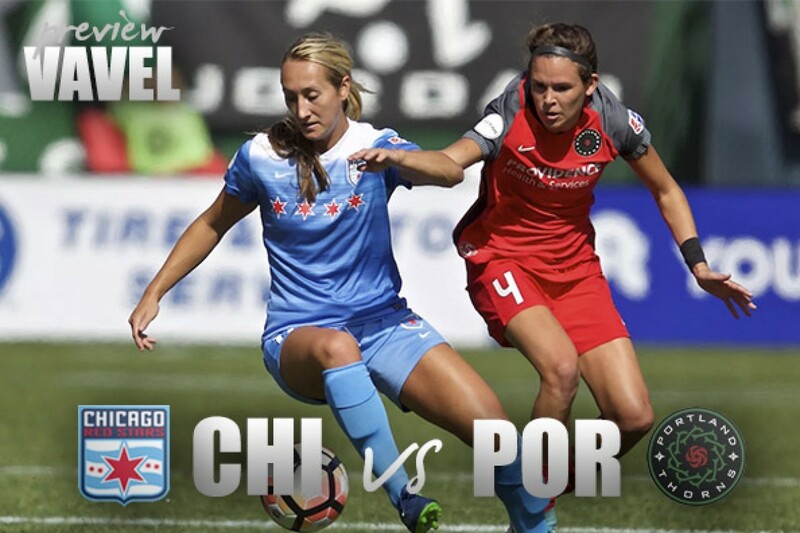 The Chicago Red Stars are celebrating their home opener along with their MLS team, the Chicago Fire in a Chicago vs Portland doubleheader. 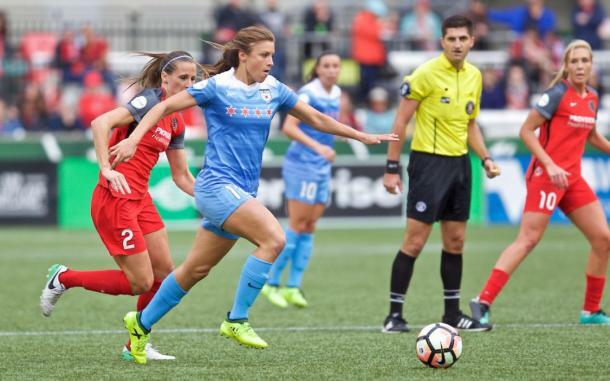 After the conclusion of the Portland Timbers and Chicago Fire game, the Red Stars will welcome the reigning NWSL Champions, the Portland Thorns to the Windy City. How did opening week go? Both teams are heading into this week looking for their first win of the season before the FIFA international break next week. The Red Stars just barely got out of their opening match against the Houston Dash with a point. Where as Portland fell to the North Carolina Courage in a 1-0 loss. For the third year in a row, Chicago traveled down to Houston, Texas to take on the Dash in their season opener. For the past two seasons the Red Stars have been defeated by the Dash and almost saw another defeat this season as well. After Houston saw lots of trades and changes during the offseason, fans were skeptical of how things would turn out but they took most people by surprise. The Red Stars had a total of five shots with two of those on being goal. They fell behind the Dash in the 38th minute when rookie Kimberly Keever scored her first professional goal. The Red Stars spent the rest of the match trying to equalize and they were successful. Taylor Comeau scored the equalizer in stoppage time off of a corner kick from Danny Colaprico. 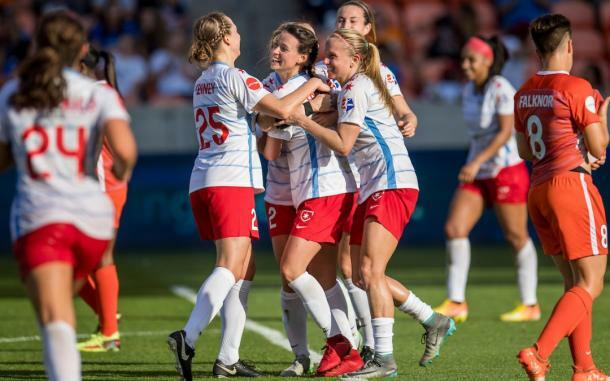 The Red Stars were without a lot of key players and they still have a lot of improving to do. As for the Thorns, they headed to Cary, North Carolina for a 2017 NWSL Championship rematch against the Courage. The Thorns were handed their first loss of the season after Debinha fired a shot that went pass Adrianna Franch in the 70th minute. Like usually, the Thorns defense contained the Courage offense pretty well even without centerback Emily Menges. It was the offensive side of things that made the Thorns struggle the most. Portland had a total of three shots with only one being on goal. To top this off, they had one corner the entire match. This is compared to North Carolina who had 20 shots, four being on goal and 12 corner kicks. Considering how much was missing, the Thorns did not look terrible against a very talented North Carolina team but there is still work that can be done if they want to find themselves back in the playoffs. Last season the two teams played each other three times with Portland being on top for all three. Based on this, Portland is probably the favorite to win, especially since they have a overall score of 7-3 against the Red Stars last season. The trouble with this statistic though is that five of those seven goals Portland scored last year were from players that are no longer with the club or away on international break. Christine Sinclair and Emily Sonnett are the only players that will be at the match on Saturday that have scored against the Red Stars in the last year. Overall, the Red Stars have only been able to defeat the Thorns once and have been outscored 16-25. This game could be a different story though because both teams are heading into this match with different looking teams from injuries, trades and international duties. On a more recent side of things, the Red Stars defeated the Thorns in a preseason match-up when Arin Gilliand scored the only goal of the match in the 62nd minute. This match will be the first out of the three for the two teams. As of now both teams are struggling with lots of injuries and international players missing. Starting line-ups for both teams could look entirely different for the other two matches when players start to return from international duties and recover from injuries. The tables have turned from last season when Chicago rarely had anyone on their injury report. For this match the Red Stars will be without Vanessa DiBernardo, Julie Ertz, Stephanie McCaffrey, Yuki Nagasato, Casey Short and Rosie White as they all recover from an injury or illness. They will also be without Australian forward, Sam Kerr again as she is with her national team. The Thorns are in the same boat but just not as much as the Red Stars. The Thorns will be without Tobin Heath, Emily Menges, Caitlin Foord and Meg Morris again this week as they are also recovering from injuries and illnesses. Where as Andressinha, Ellie Carpenter and Hayley Raso are all on national team duties. If you are unable to make it out to Toyota Park to watch the game, you can stream the match live on the go90 app or at nwslsoccer.com at 8:15pm EST.